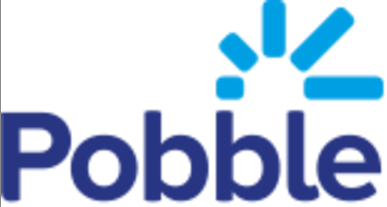 Pobble makes writing ridiculously exciting for children while connecting and inspiring the world’s educational community of pupils, teachers and parents. Pobble’s digital, global classroom wall boosts imaginations and confidence, giving children personal motivation to write and be creative. Henry, Simon and Tom were three Harrogate-based teachers who worked together. Jon, Henry’s brother, originally joined the team as an advisor. He was so inspired by Pobble’s mission and the impact on children during a school visit with Henry that he changed career to join Pobble’s founding team. Henry and Simon (literacy coordinator and deputy head) couldn’t find suitable classroom tools to help teachers to improve writing attainment. Knowing that children love to write for an audience (think the classroom wall), they created a global classroom wall to provide an audience outside of the classroom to inspire children. We work alongside many of the largest academy and school chains to develop and test the product. We also have a partnership with Penguin Schools and ran a national competition with them last term called The Mighty Write to find Britain’s best young writers. ODINE’s mentorship has helped us to think about new applications of existing data sets (such as huge content libraries) which could be brought into the classroom. We have also spent more time considering the data that we create and how this could be used to create further value for our community. If you have an exciting idea or business that you think could create massive impact at scale utilising some of the power of open data, then give it a try – you have nothing to lose! Big businesses embrace things that offer clear value. The open data movement needs to continue to gain momentum and show demonstrable impact in a variety of organisations and industries. Education is entering a period of significant disruption and open data will play a key role by improving the quality and relevance of education and making the ecosystem more efficient.